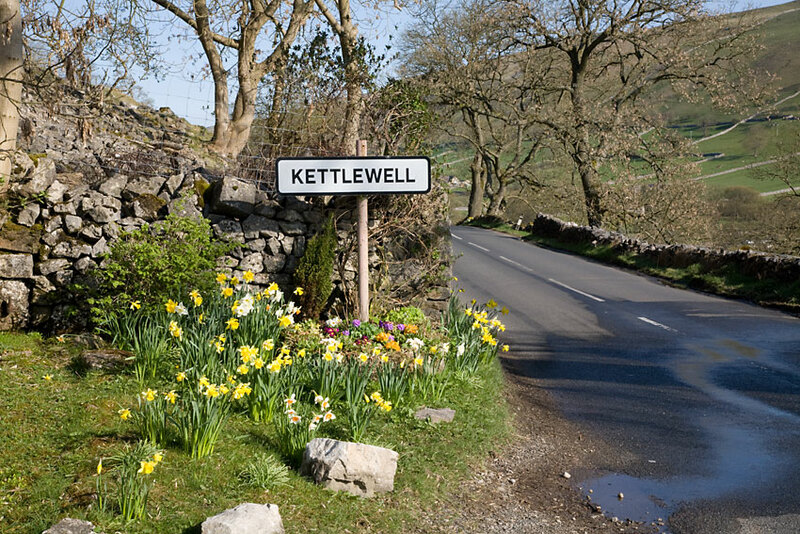 Today's walk starts from the picturesque village of Kettlewell set in the heart of the Yorkshire Dales. 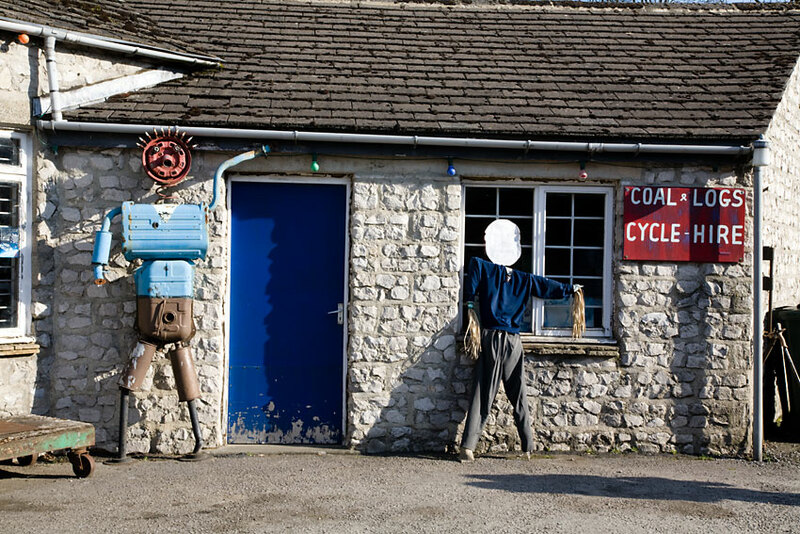 Famous for its scarecrow festival in August this is one of the most popular villages in the dales. 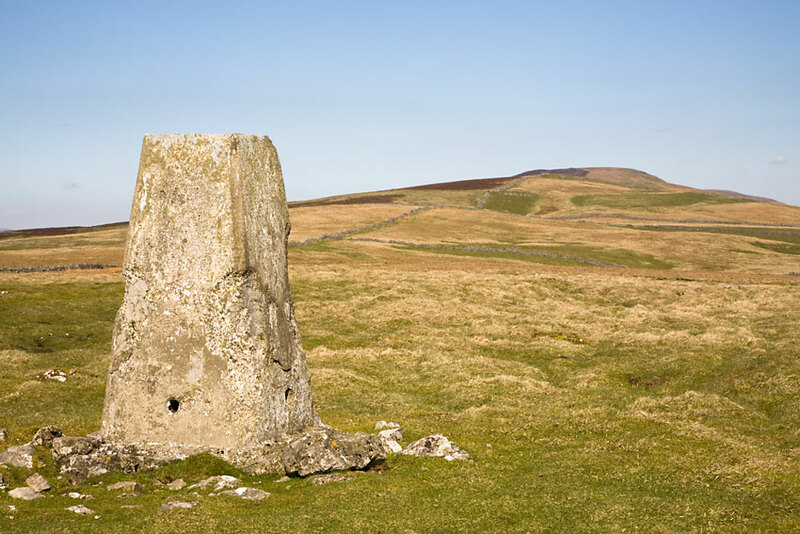 At around 19km/12mls with an ascent of approximately 400m/1312ft our route takes us first south towards Hawkswick then follows the ridge northwest as it climbs steadily up to Firth Fell - 607m/1991ft. 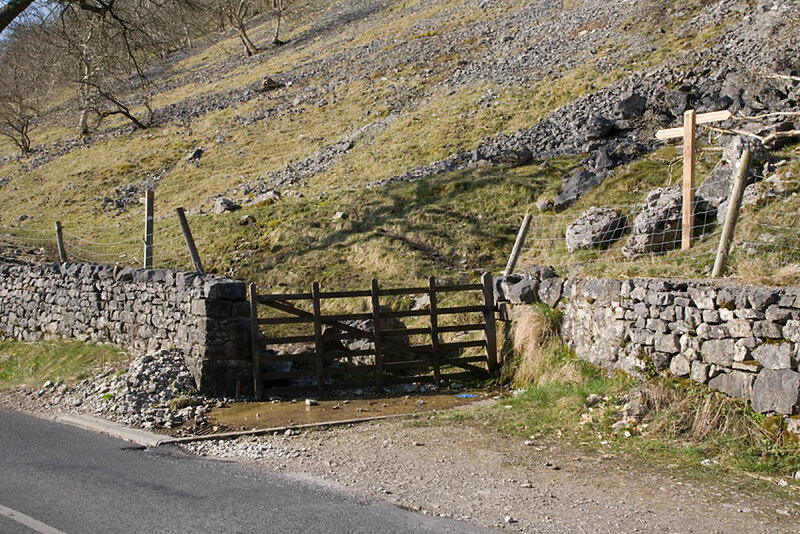 The route then descends to Buckden and follows the Dales Way back to Kettlewell. Apart from these two charactors standing outside the local garage of course!! We head south back over the bridge and up the road until we reach this gate. Passing through the gate we follow the path sign posted Hawkswick as it climbs steadily south under Gate Cote Scar then up through Knipe Wood before emerging out onto open fell. The view over Kettlewell from above Knipe Wood. We soon reach the wall that runs up the spine of the ridge, turning right we now follow the wall as it climbs steadily northwest. 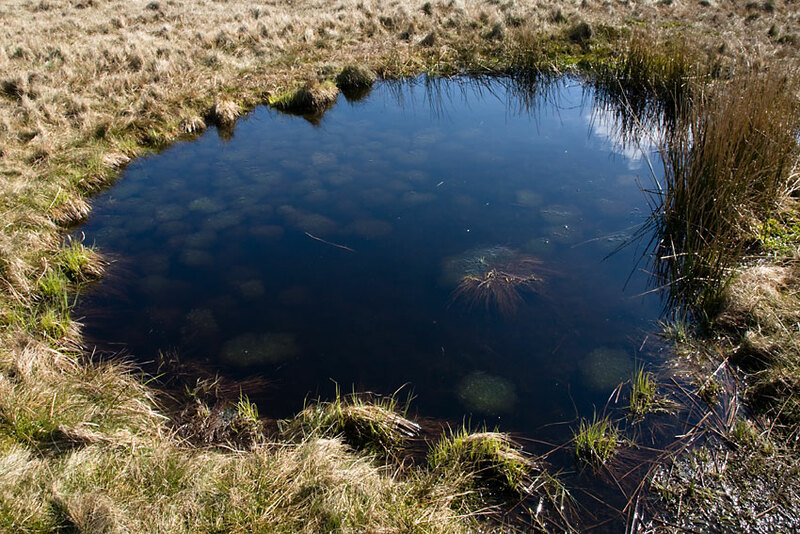 After approx 1km we arrive at a trig point - 434m/1424ft situated amongst lines of old Bell Pits. 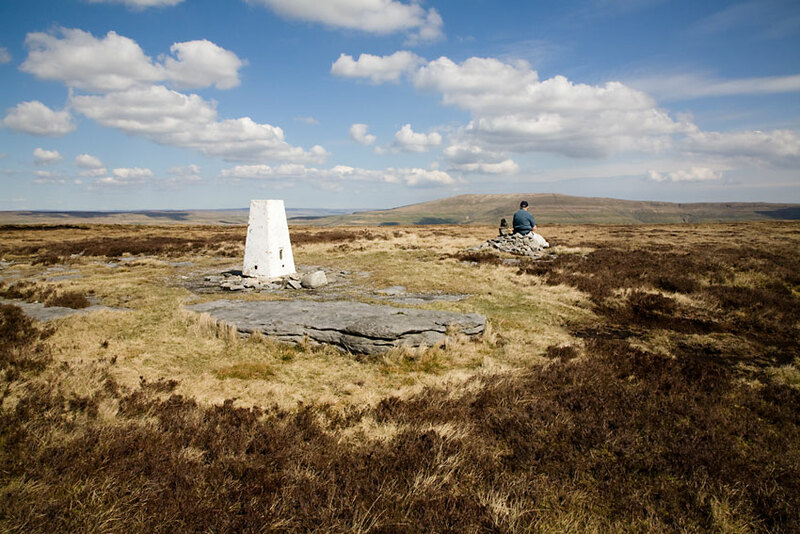 A short distance further and we arrive at Firth Fell trig point 607m/1312ft. Admiring the view to Buckdon Pike from Firth Fell - a good spot for lunch. 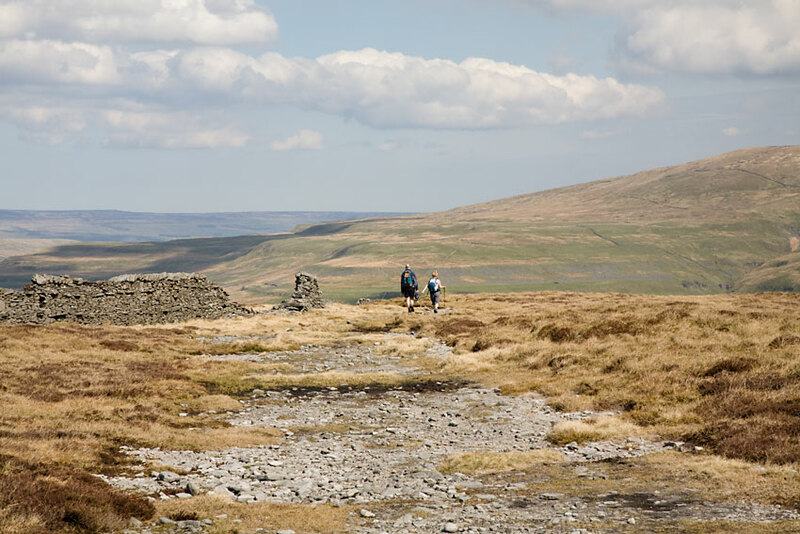 Leaving Firth Fell we now head north descending via Birks Fell and Redmire farm to join the River wharfe and the Dales Way at the village of Buckdon. The view to Buckden from above Redmire Farm. 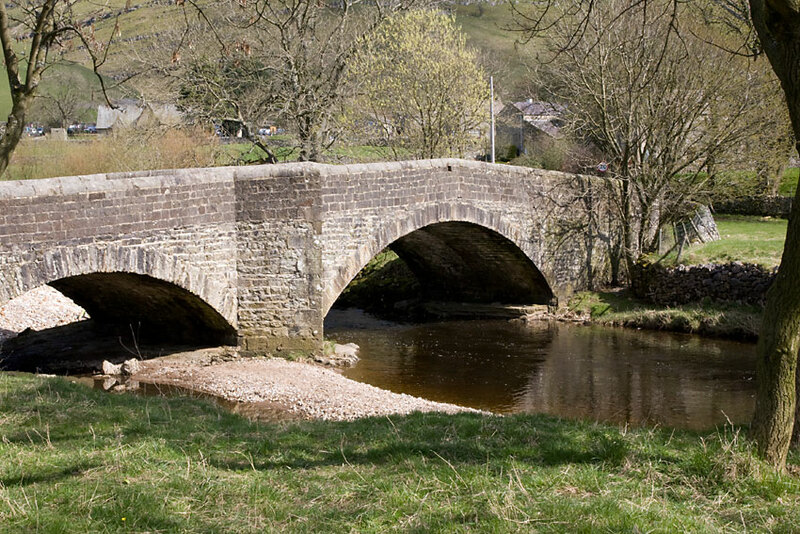 The bridge over the River Wharfe at Buckden. We follow the Dales Way southeast now as it follows the river back to Kettlewell. A very enjoyable walk with excellent scenary all around.